The Zeiger Homestead is back. Last night the wind rose to steady northerly, and charged our battery bank to 100%. 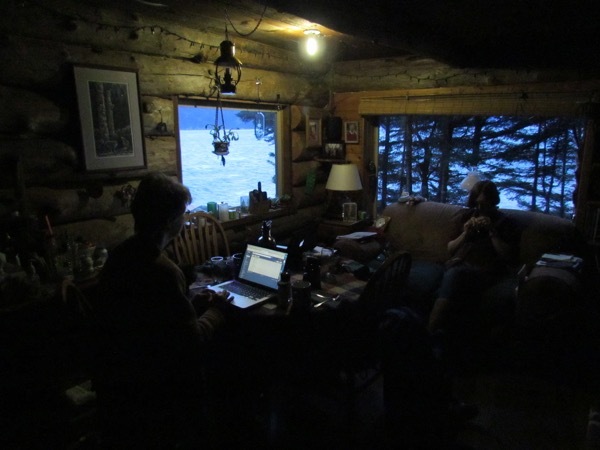 This morning we’ve got lights on, we’re playing the radio (instead of a battery powered boom box, which we’d relied on all week) and we’re charging recyclable batteries as fast as we can. Michelle is working from home via computer. Life is returning to normal. A pleasant morning on the Zeiger Family Homestead (photo: Mark A. Zeiger). We weathered another period of Low Power. Now, as seems typical, we’ve put the brake on the wind generator before a northerly gale develops later this afternoon. We don’t expect much sunshine, so we’ll need to turn it back on after the gale passes. But, what a sweet morning at home! After an excellent breakfast, we drifted to our own projects: Michelle to at-home work, Aly, who packed her gear for work a full hour before departure time, sat down to knit. I got on line to write this post. The cat settled into Michelle’s lap. 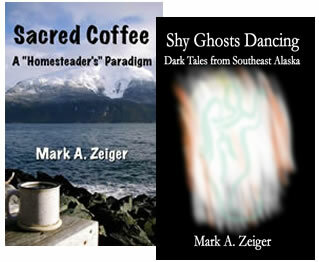 I brewed a second cup of coffee . . . .
Life is good. All is well. To quote my favorite line from George R. Stewart’s Earth Abides: “Things are as they are, and I am a part of them.” Who could ask for anything more? Every year, as we pull out our Christmas decorations, we anticipate seeing an old friend: Bob the snowman. “Bob” has been with us so long that we no longer remember, for sure, exactly where he came from. 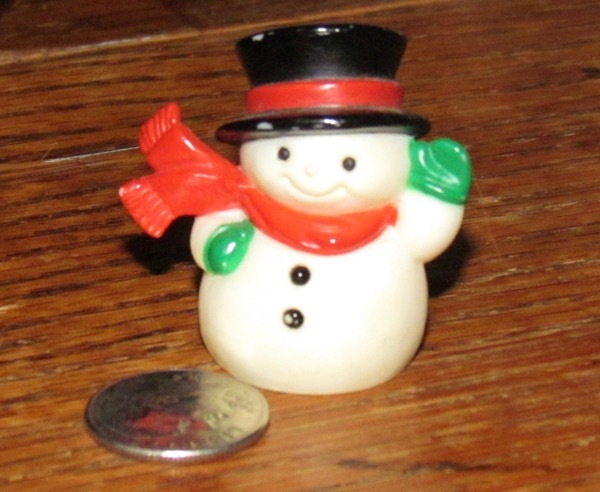 Here’s what we do know: Michelle and I picked up this tiny plastic snowman at a Hallmark store, probably somewhere in Oregon, near Christmas, somewhere around 1983 – 1984 (the design is copyrighted 1983). We named him Bob immediately, for reasons we forget. Bob, our tiny, long-time Christmas friend (Photo: Mark A. Zeiger).